BlackArts Racing is excited to announce the signing of Dutch race driver Joey Alders for the final round of the Asian F3 Winter Series, February 22-24th at Sepang International Circuit. 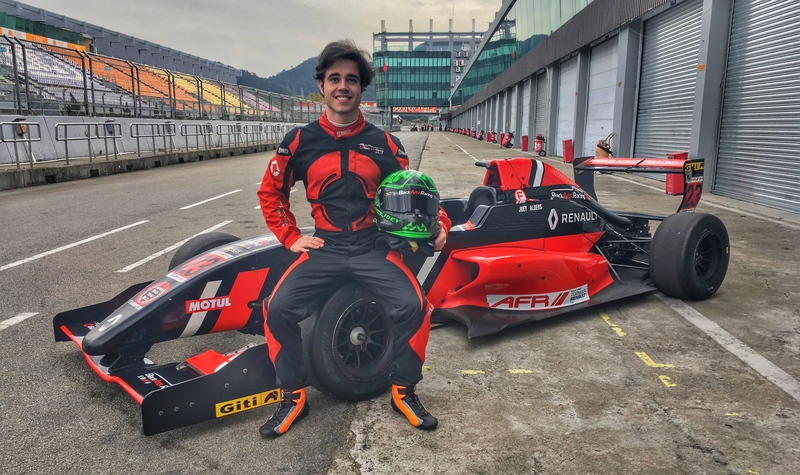 After excellent test results with BlackArts Racing in Formula Renault at Zhuhai International Circuit, next weekend the 19 year old Dutch racing talent will take a seat in Formula 3 for the very first time. Joey began racing karts competitively at the age of 10 and enjoyed various successes in the Netherlands and internationally, until stepping up to formula cars in 2018 in the ADAC F4 Championship. Next weekend Sepang International Circuit will host the final event of the three round/9 race Asian F3 Winter Series. The championship visited Buriram International Circuit in Thailand on January 11th-12th, and Sepang International Circuit in Malaysia on January 19th-20th. The championship is run as a regional F3 FIA series and designed as a stepping stone to International F3, which will become a Formula One support series in 2019. For more information on Joey Alders please visit: www.joeyalders.nl. For more information on BlackArts Racing please visit www.BlackArtsRacing.com.